No regrets about have chosen Saitama University to study abroad! 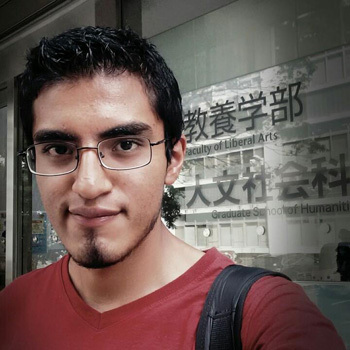 I am a student of international economic relations in Mexico, so when I was looking for a challenging academic and cultural exchange experience, I didn’t hesitate to choose Saidai as my first option to do it so. As my first time, out of my country I knew that Japan was such a big deal. Everybody, including my family, was totally surprised when they knew that I was packing to go to study abroad to the other side of the world. 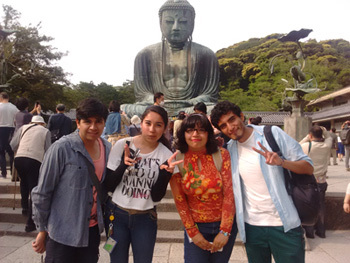 I didn`t know what to expect about my first time outside of Mexico, but fortunately, the people from Saidai help me a lot and encouraged me to sign up to integration activities to become part of this amazing university as quickly as possible. I joined welcome party, several club´s activities, events organized for Saidai students, and many other activities organized by external organizations promoted by International committee of Saitama University. I was surprised about all the opportunities offered by this University, and all the support offered to us as international students. They help me with every single doubt or problem came off during my stay in Japan, from the very simple mandatory and legal stuffs, to more detailed aspects such find a proper place to attend dental urgency. About academic aspects, I don’t have any complain, Saidai offered me an amazing academic experience. With classes, well designed, present-day topics, professors from all around the world and all properly prepared to teach about the topics of its own subjects, it was not surprise that after I came back to my country I had decided to use one of this topic learned in Saidai as my graduation thesis subject. Finally, about cultural experience, I must say that I was scared about it! I knew that Japan was quite different of my country in this aspect, but finally, I should say that this was the part that most worth it about my stay in Saidai! I met people not only from Japan, but from all around the world, this led me explore different ways to think, and opened my outlook. About Japanese students, I should show them of as some of the humblest and kind people I’ve ever met before.